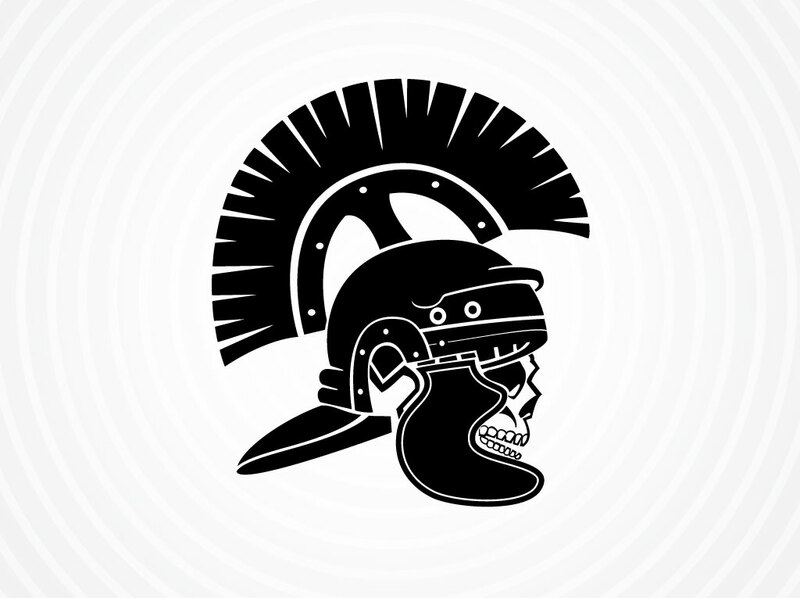 Antique vector illustration of a skull wearing a Roman helmet seen from a profile view. Black and white graphics set on a gray and white gradient ring background image. This cool skull clip art design is a free download for your punk collage art, gaming icons and hard rock themed t-shirt designs. Tags: Antique, Battle, History, Mortal, Rome, Soldier, Strength, Tough, War.